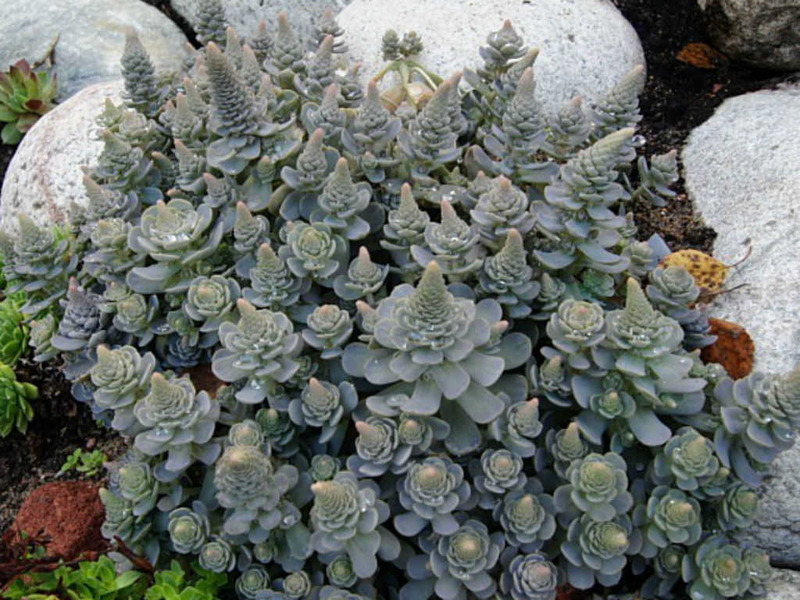 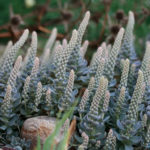 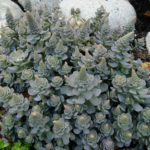 Orostachys boehmeri is an attractive small succulent with soft lavender-gray leaves in up to 2 inch (5 cm) wide open rosettes that offset readily producing small plantlets on spaghetti thin stems that radiate up to 6 inches (15 cm) away from the mature rosettes to form an open plant to about 1 foot (30 cm) across. 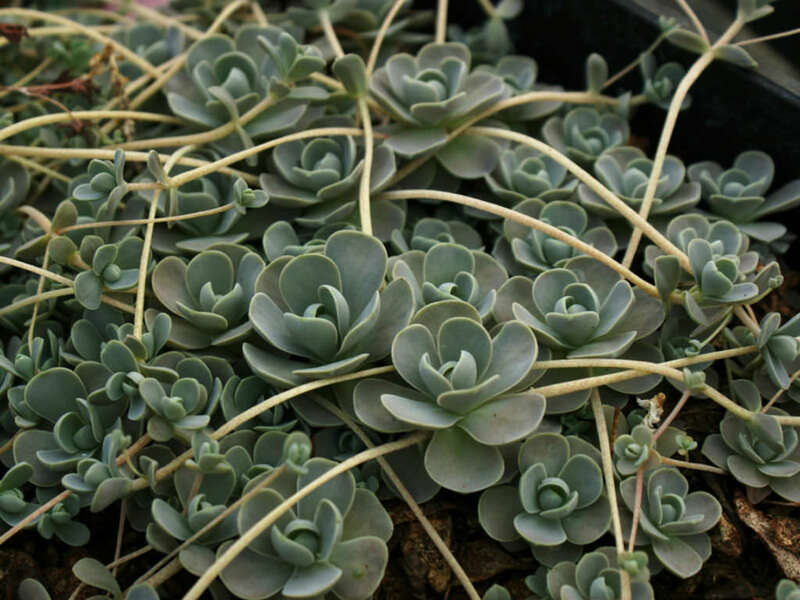 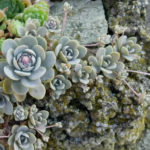 After several years these rosettes can produce tiny pale yellow flowers with greenish bracts on up to 6 inches (15 cm) tall spikes. 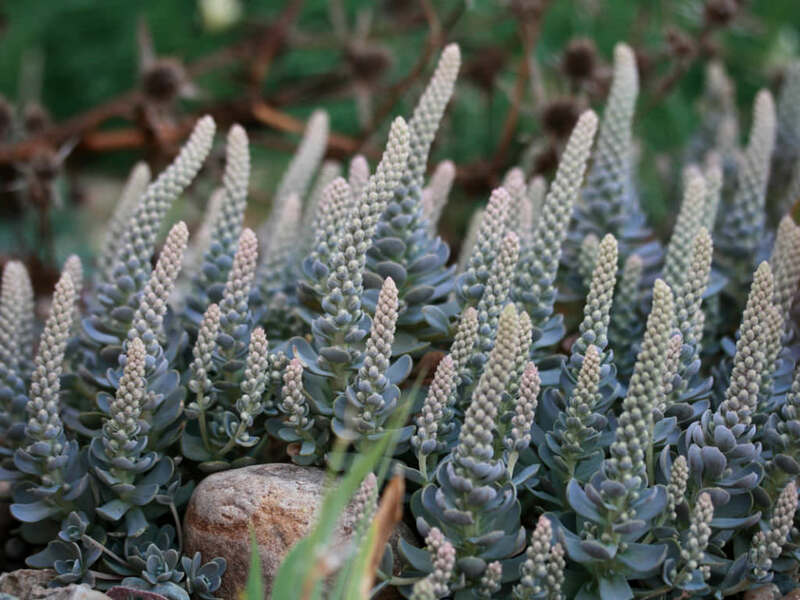 Flowering often commences in early autumn but may begin as late as November. 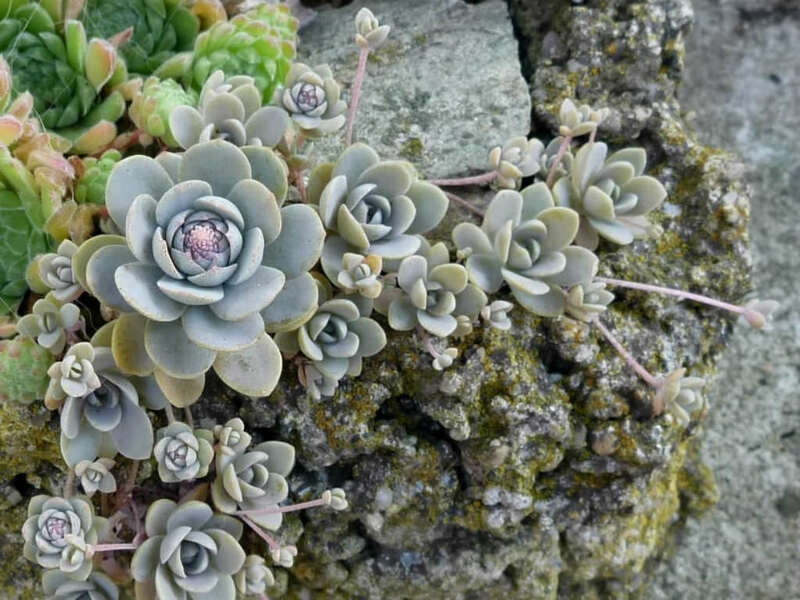 The flowering rosette dies after flowering but is quickly replaced by offsetting ones.